According to the San Francisco Chronicle, Bjarke Ingels Group (BIG) has been hired to lead design for a new ballpark for the Oakland Athletics baseball team. The decision comes after months of speculation over the team’s future in Oakland as the Oakland Raiders professional football team moves forward with a deal to abandon the Oakland-Alameda County Coliseum—currently shared with the A’s—in order to build a new $1.8 billion stadium in Las Vegas, Nevada, designed by Manica Architecture. 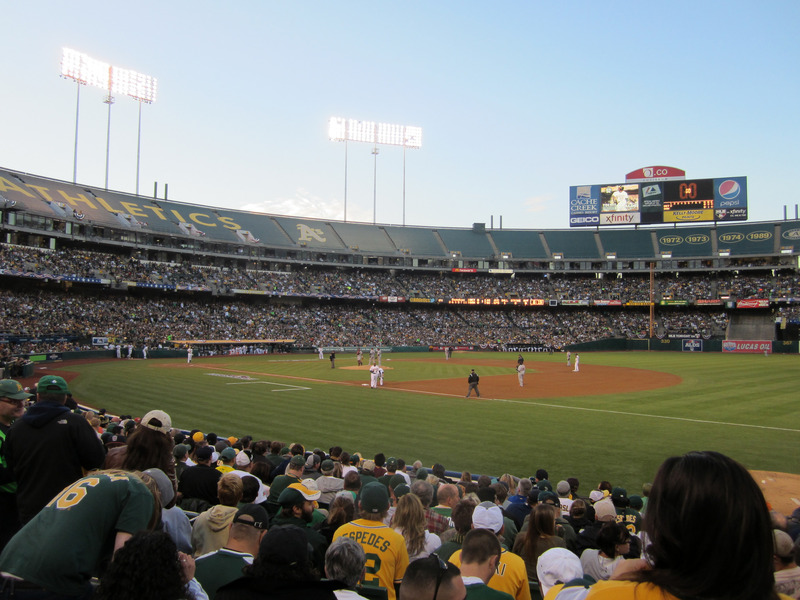 A handful of plans have been proposed over the last 18 months for the baseball team’s future home, including purchasing the Coliseum site outright from the City of Oakland for $135 million. But the team is keeping its options open: Aside from the Coliseum bid, the team is currently pursuing plans for a brand new ballpark in the Port of Oakland’s Howard Terminal. The plan for the Howard Terminal site is reportedly favored by Oakland mayor Libby Schaaf, as it would allow the city to buyout Alameda County’s stake in the jointly-owned Coliseum site. The arrangement would give the city control over a centrally-located public amenity that is already connected to mass transit while passing on the costs of redeveloping Howard Terminal to private coffers. Despite Schaaf’s intentions to purchase the park, however, the mayor recently announced that the city does not have the money to make the purchase itself and is unwilling to commit public funding for the plan. In the past, the A’s were also considering a potential partnership with the Peralta Community College District nearby for a new standalone ballpark, though that fell through earlier this year due to community opposition. Previously, it was thought that HOK was on board to design a new A’s stadium, but the latest announcement seems to have scuttled those ideas. Now, it’ll be BIG, Gensler, and James Corner Field Operations working together to craft the new ballpark and the surrounding areas. The announcement was somewhat expected, especially for anyone who has been keeping close tabs on relevant social media channels. Earlier this summer, amid a trip to the Bay Area to check in on construction for the forthcoming Googleplex headquarters, BIG’s founder, Bjarke Ingels, took in an A’s game with Kaval. A flurry of Twitter selfies and Instagram stories from the pair hinted at a potential partnership. BIG is no stranger to working in the Bay Area. As mentioned above, the office based in New York City and Copenhagen is currently working with Heatherwick Studios on a new tent-inspired headquarters for Google. The firm also recently unveiled a scheme to reurbanize sections of Islais Creek with Sherwood and ONE. A planned 242-unit mixed-income housing complex in San Francisco’s South of Market neighborhood designed by BIG is under construction, as well. Designs for the BIG-led proposal have not been released, though Kaval has stated that the new stadium will be privately financed and will open in time for the 2021–2022 season.